Every year when I was growing up my mom handmade her own little Christmas list book. 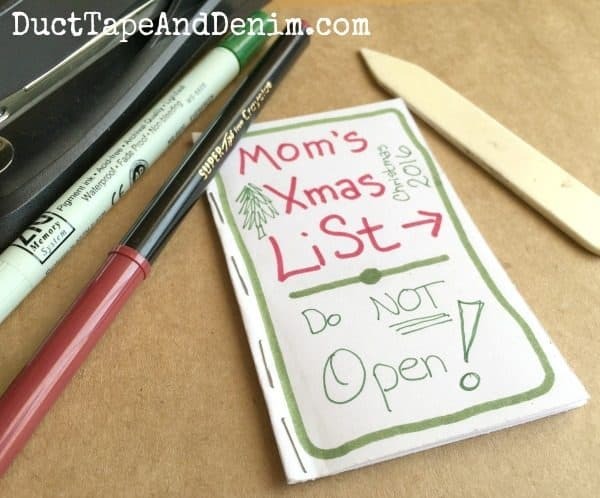 She decorated them in her own handwriting with whatever pens she had on hand. Nothing special but I have lots of memories of those little books. Especially the warnings… “NO PEEKING”, “Do NOT Open”, or “If you peek you WON’T get your gift”. 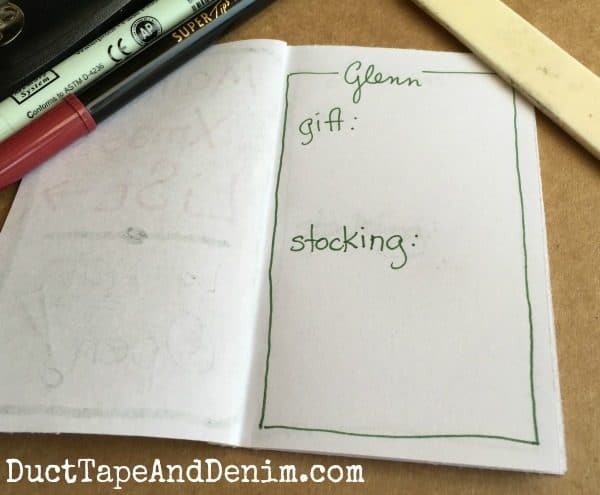 Today I’m sharing the quickest and easiest Christmas list book. This is the way my mom made them. I first cut my copy paper in half then folded those in half and stapled in the fold. At the top of each page I wrote a family member or friend’s name. I divided my immediate family’s pages into “gift” and “stocking” so I can keep up with even the little things I buy them. I’ll often put several friends’ names on one page or list coworkers on one page since I’m usually only getting them one small thing. 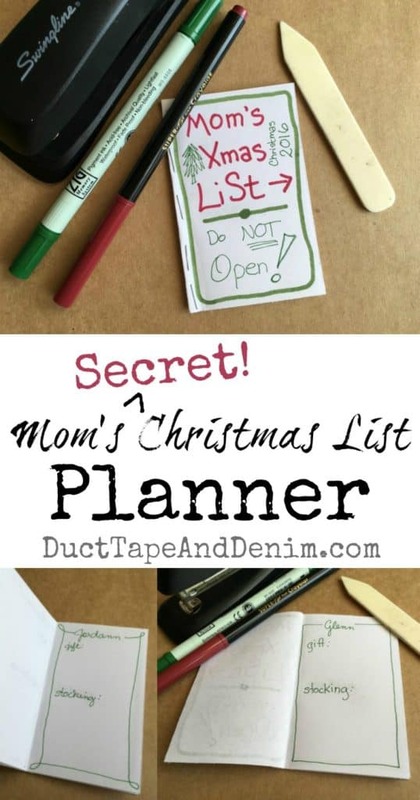 This is a super simple project but it will help you stay organized for Christmas!